What is Doom Patrol‘s score on Rotten Tomatoes as of now? What award did PETA give to Black Panther? Which Batman actor actually appreciates George Clooney‘s performance in Batman & Robin? What is Captain Marvel‘s final runtime? What was Shazam rated by the MPAA? When will Marvel’s The Eternals start shooting? All that and more in this edition of Superhero Bits. It’s time for another totally weird trip thanks to the Spider-Man: Far From Home Weird Trailer by Aldo Jones. Doom Patrol currently has a Rotten Tomatoes score of 92% with 12 reviews turned in from critics for now. One fan created a poster for a much more promising project focusing on Jeremy Irons returning as Alfred. Comic Book Resources looks back at what the various Avengers: Infinity War toy leaks got right and wrong. The first teaser trailer for Frozen 2 is made a little more epic with the help of Alan Silvestri’s Avengers theme. Black Panther was awarded “The Cat’s Meow” by PETA for making the Jabari tribe vegetarian and more. 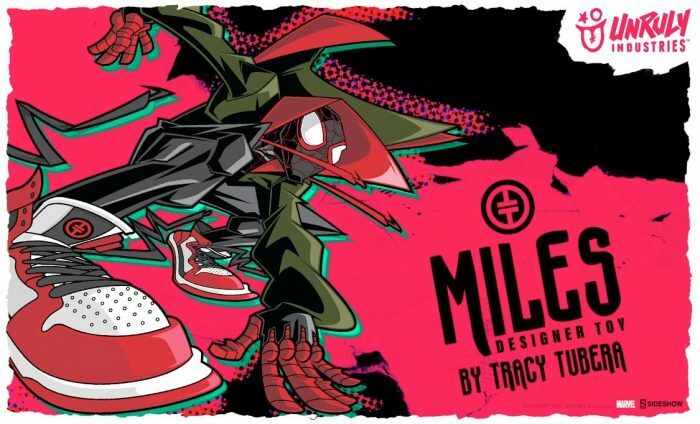 This new Miles Morales/Spider-Man collectible is just one of a bunch of new pieces from Unruly Industries. Will Arnett is one of the few people in the world who appreciate George Clooney‘s turn in Batman & Robin. The post Superhero Bits: ‘Black Panther’ Honored by PETA, ‘Captain Marvel’ Final Runtime & More appeared first on /Film.